COOLMAX® fiber keeps feet dry by wicking moisture away from the feet. This is essential because the moisture can cause bacterial infections that can cause damage to diabetic feet. Our Y-heel creates a heel pocket that forms around the actual shape of your heel. This design allows for an absolute fit, while keeping your comfort top priority (*Please note that not all MediPeds® socks have a contoured Y-heel). 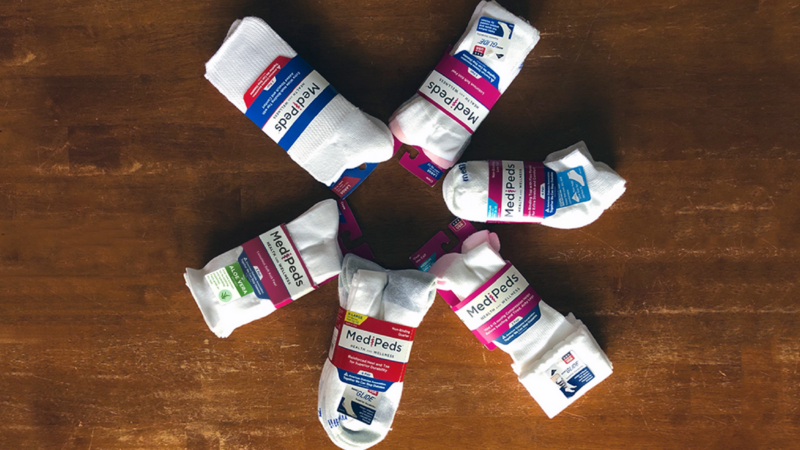 The additional padding in our socks helps reduce the formation of foot ulcers when combined with wearing the proper shoes. The cushioning also keeps feet warm, while providing extra protection in high impact zones. Our non-binding top is designed to allow improvement blood circulation in the feet and legs. For our diabetic customers, we want to have a proper fitting, moisture wicking, and comfortable sock to alleviate any foot problems. Our seamless design allows for a snug fit so there will be a minimal chance of wrinkling or bunching in shoes. COOLMAX® fiber is the performance fiber that includes an effective fiber-based moisture management system. The system can move perspiration away from the body, and through the fiber, where it can evaporate quickly, allowing the wearer to feel cooler and more comfortable. Your active lifestyle demands that moisture management be an important ability of your active wear. Wear COOLMAX® fiber with confidence and style. No matter if you are golfing, hiking, running, cycling, in a soccer match or a basketball game, you'll be amazed by the breathability, easy-care, and year-round comfort of COOLMAX® fiber on your body. COOLMAX® fiber is a registered trademark of INVISTA™. LYCRA® fiber has the answer – a unique fiber technology to make sure your favorite garments are more comfortable than ever. 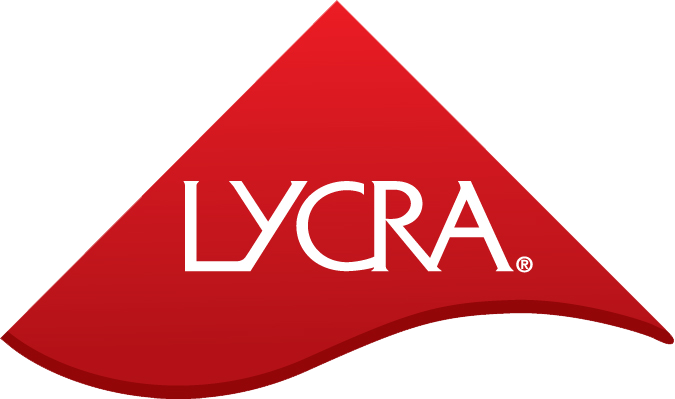 Comfort, freedom, and movement are the foundation behind the LYCRA® fiber. LYCRA® fiber technology stays with you as you move, and springs back when you stay still. With bi-directional stretch, excellent recovery, and added comfort, you have the freedom to move anywhere and anyway you like. COOLMAX® socks are engineered from channel fibers that move perspiration away from the body and through the fabric for quick evaporation, making it the ideal socks for not only any leisure activity but also for everyday comfort. NanoGLIDE® is an innovation in fiber technology that solves real world problems offering customers comfort, function, and performance. NanoGLIDE® products offer superior performance and uncompromised quality. The Blister Resister fibers and fabrics offer a “proprietary technology” that helps reduce hot spots and blisters caused by friction. It also provides superior durability. "These are just about the best socks there are. They stretch easy for getting them on with one hand. They are treated somehow to be slightly slippery so they don't rub and so they'll slide into a shoe easier. They hold their shape and size through repeated washings. They're not too hot in summer and not too cold in winter. These are the only socks I've worn for the last 3 years." These Are Great! They Fit Really Well! "Bought these as a choice for my husband. It finally hit me that his struggle to remove his socks from naturally wide feet probably weren't doing any good for his circulation and "cold feet". He has loved these! After 50 years, sock that fit right!"